Hi everyone and welcome to the Greek cactus page. 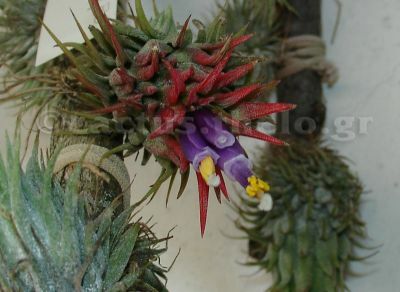 The aim of this website is to provide another little place for cactus lovers, to share knowledge, photos and experience. You will find some info on cactus care, cactus and succulent pictures to help plant identification or just to browse and explore. You might also want to visit the forum for cacti and succulent related topics, and the links directory which contains web links of cacti and succulent related web pages from all over the world. The cactus photos and info are from a private collection in Thessaloniki, Macedonia province, Greece. The climate here is almost ideal for cactus growing, since we have a lot of sunshine, all the year round and the winter is relatively mild. Special thanks to Thelo.gr for the hosting of the web page and the technical support. Pictures of cacti flowering this time of the year! Pictures of succulents flowering this time of the year!